What if I went to London in December? For some days, maybe five. I'm not yet sure if I'm going to go, but the thought of going is so very tempting. People have been in big cities alone before, maybe I could do it too. 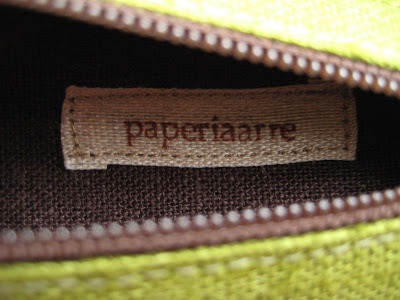 The questions are: should Paperiaarre go and be inspired by London, what to see, who to see, where to sleep/eat/be inspired? There are plenty of suggestions around the web, but they're there, around. And they're not your suggestions for me. I've been to London briefly, twice, but it was a long time ago. And I think I can go to London for the third time and skip Madame Tussauds for the third time. On Saturday a little baby girl had her name giving party in Kuopio which is far far away from Turku so I spent half of my weekend sitting in trains somewhere in Finland, and seeing railway stations I hadn't seen before. I carried my camera with me everywhere but I guess it was feeling too comfortable in my bag and didn't want to come out. No photos whatsoever. Just my luck. I've been awfully forgetful lately. It's really bad. Maybe I need another vacation to recover from the last one. Just before rushing to the train on Friday I updated my Etsy shop a little. Some of you may have already checked it out during the weekend and seen my new zip pouches and pencil cases. I'm trying some new colors and so far I'm loving them, especially the mustard yellow. I'd never wear yellow clothes, not even scarves or gloves, but I like certain hues of yellow very much. Mustard yellow is the best kind of yellow, don't you think? I'll be sewing some more pouches and pencil cases in the near future, in new colors and old ones too. Books are in the making too, as always. Making mustard yellow and grass green books makes me happy. What next? Pink? No, I'm not stepping that far out of my comfort zone this year. Slow and sure. Not too many minutes were spent this week on creative work. That means that the time I would normally spend making books, sewing or designing new things was spent on irrelevant, stressing and day-job related things. Last night I decided to make a zip purse and that wasn't necessarily a wise thing to do after a grumpy day. It really isn't that difficult to make a zip purse, but for some reason I just couldn't think straight (or sew straight)! I finished it only because I'm too stubborn to quit. I easily quit if I get bored with something (oh how many bags I have started in my life, and how few I've actually finished! ), but not because of difficulties or mistakes. How many new things?? Many, many new things. I just finished my humongous shop update! I've been working so hard to not leave you empty handed when I start at the library next week. I'm not quitting bookbinding or anything, I just don't know yet how much time and energy I have right in the beginning. New things are always stressing and tiring, but I don't have any plans to abandon you. And oh by is it tiring to list over forty items on Etsy at once. I don't particularly enjoy it (click click, clickety click hrmmm...) so I've come to the decision that bigger batches work better for me. Now it's done and I'm so excited over all my new treasures. There are fourteen new books, a plethora of jewelry and the apple of my eye, the first ever Paperiaarre pencil case, which I already love so much that it makes me sad to even think of parting with it. I need to sew myself another one. (Ok, I made three of these for sale, but it's against my policy to keep things made for sale :D) Isn't it pretty? Buds are back in books too! 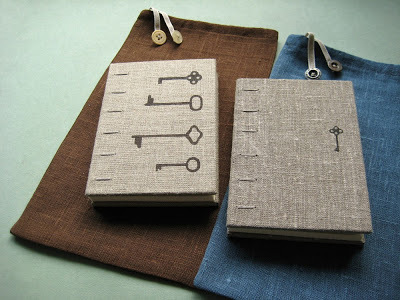 There are five 4.3"x6"x0.9" (11x15,2x2,2cm) bud books in the most charming colors. A big batch of new botanical brooches and necklaces, and some paper and leather jewelry too! 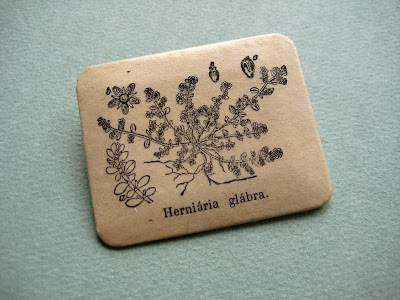 This botanical brooch is one of my favorites. I'll be back some other day with more photos. If you want to see the rest right now, hop over to the shop and see for yourself! Thank you my dear readers! PS. Kotkarankki is having a giveaway! Shop update on Thursday afternoon! One last week of freedom and big shop update to celebrate it! Thursday afternoon, around 2pm (gmt+2) I'll be listing plenty of new books and brooches to Paperiaarre Etsy shop, and if I'm on a creative flow, maybe a little something extra too. Here's a sneak peek of the first two finished books in bags. The more colorful ones are still waiting to be sewn. The darker button reads "Siro Suomi" - delicate Finland. And the another is just a little rusty. Easter was quite nice, but even nicer was to find Mignon chocolate eggs on sale today. Mirkka wrote a great blog post about them on Oprikka. Now I'm fully content with today's chocolate intake. Another reason for happiness is yet another award! Yvette of Paperfaerie gave me this wonderful award, that I really should give to five other bloggers. It's so difficult to choose! I can't make any decisions right now, but I'll reserve the right to give the award at a later stage.